← The foundation is complete! 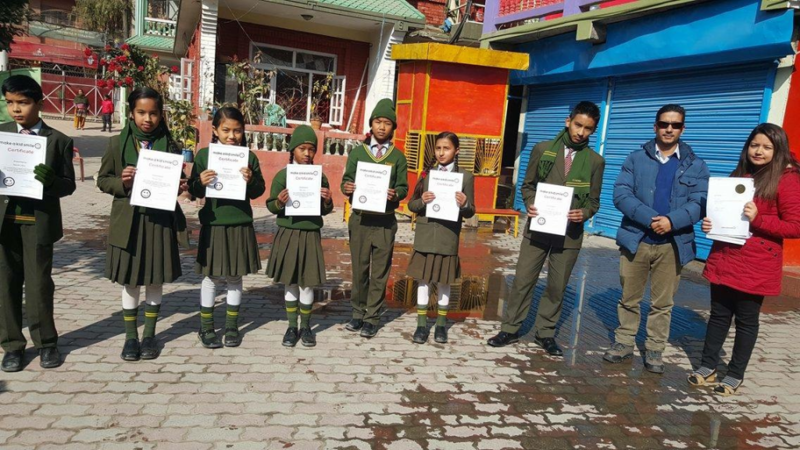 The students at Everest Higher Secondary (Boarding) School i Kathmandu, Nepal, get certificates for contributing to our blog with stories about what happened to/with them when the earthquakes hit Nepal. This entry was posted in Young people write about their experiences from the earthquake. Bookmark the permalink.